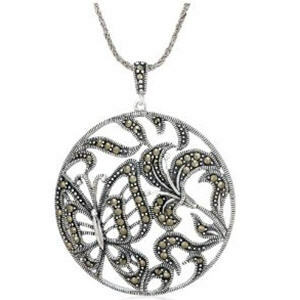 This large circle pendant frames an exquisite flower and butterfly design. 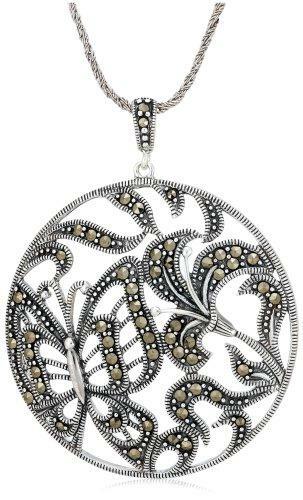 Made from sterling silver, it's beautifully detailed with dark marcasite stones and etched oxidized lines. The pendant swings from a coordinating decorative bale and is featured on a sterling silver woven chain. This is a beautiful showpiece that combines modern styling with vintage elegance.